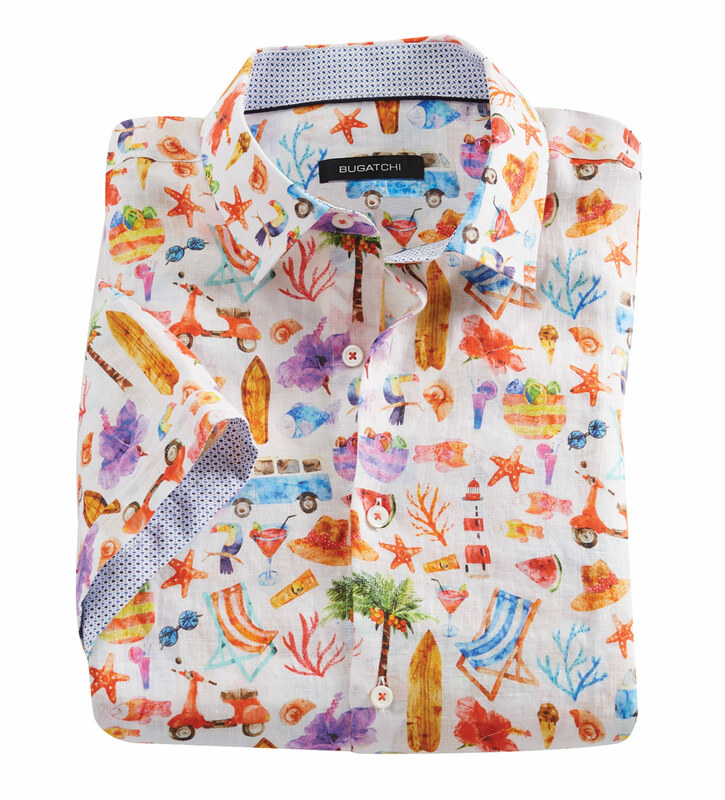 Fun trip to the tropics in cool, fine, European, 100% linen. Classic fit, short sleeves, spread collar, French placket, shirttail hem, contrast print inside collar and cuffs. Dry clean or hand wash. Imported.